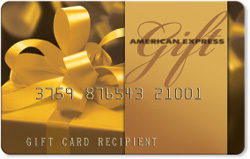 2)	Check American Express Gift Card Balance Online, Click Here. A recent gift card patent litigation trial had the potential to render all gift cards in the United States useless. Every Penny Counts claimed that any company that issued “open” or “closed” gift cards was infringing on their patent for technology that automatically deducts excess cash from gift card transactions. The “open” gift cards cover the American Express gift cards or Visa gift cards that can be used at any store and the “closed” gift cards refer to gift cards that can be used at specific locations, for example a Best Buy gift card or Wal Mart gift card. Essentially ever single gift card in the United States was covered by the lawsuit. Luckily the U.S. Court of Appeals affirmed the Florida federal district court’s dismissal of the lawsuits which challenged the legitimacy of gift cards technology. Had the patent litigation been successful it could have potentially banned the use of gift cards in the United States. Although this did not happen it shows how fragile gift cards can be for storing value. The company you own gift cards for can go out of business, the card can be lost or stolen, and now even patent litigation may lead to the loss of gift card balances. Everyone should get rid of their unused gift cards. It is much better to sell gift cards you will not use or trade them for a gift card you will use. The best place to get cash for gift cards is Giftah. You can get the best price for you gift card and turn the card into a liquid asset.